Multi-purpose product developed to provide various protections. Outstanding detergent and dispersant properties which meets the stringent ACEA B4 requirements. Superior anti-sludge and anti-wear performance to keep engine clean and protected. Advanced additive chemistry to provide excellent fuel economy. Excellent in meeting OEM extended drain targets. 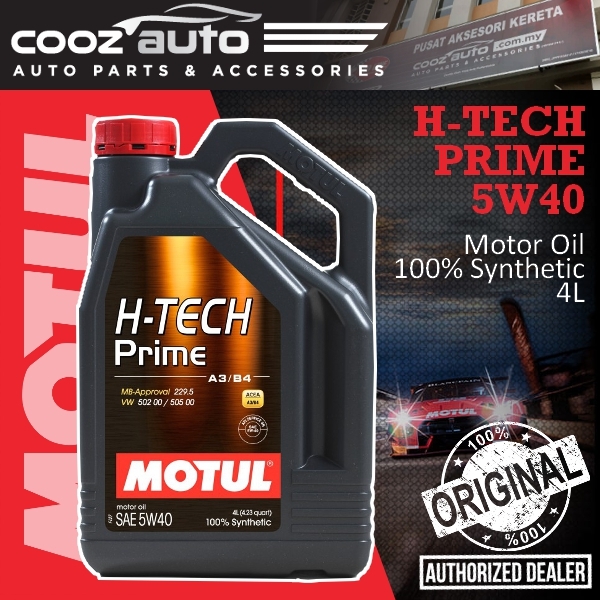 Motul H-TECH Prime 5W40 is a 100% synthetic engine lubricant specially designed for new generation engines (gasoline, diesel, LPG, turbocharged and direct injection). 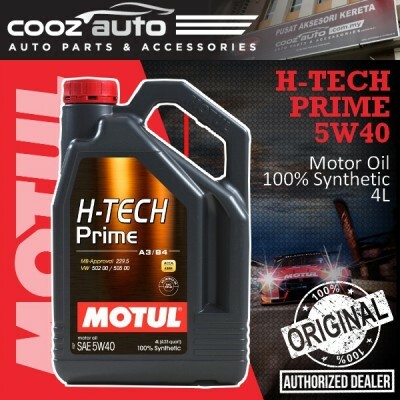 It is recommended for cars requiring VW 502.00, 505.00 or MB-Approval 229.5 oils. Compatible with all sorts of driving conditions: city, road, highway.